PPF account in SBI can be open by submission of application form. Moreover, one can operate this PPF account online through net banking. PPF account is best safe investment in India. By investing money in PPF you can not only save tax but earn tax free interest. In case you are not aware about PPF account you can refer to one of the most popular article Smart way to earn more money by PPF. In this post I will be explaining you how to open PPF account in SBI. PPF account can be open today in almost all PSU banks, but SBI has the highest reach and available even in villages. Many individual still prefer PPF account in SBI only. First step for opening PPF account in SBI is to select nearest branch of SBI which offers PPF account facility. Only few authorized SBI branch gives facility of opening PPF account. You can google to find list of SBI branch offering this facility, but best way is to use SBI Branch Locater tool. Once you finalize branch second step is to fill up Form A for opening PPF account. You can download Form A from SBI site. Along with this form you need to furnish ID proof and Residence proof as per Bank’s KYC norms. You need to attach any one of following as ID Proof along with your form. Any of following proof will be accepted by bank as address proof. Attach self-attested copy of ID, address proof and passport size photo along with your application and submit it to bank for opening PPF account. Don’t forget to attach nomination form. Also Read – Importance of Nomination in Financial products. Once your account is open Bank will issue Passbook. Passbook will contain information about all transaction done in your account. If you have PPF account in other bank or post office and you want to transfer this account in SBI you can do that. It will be considered as continuing account. You need to follow following process to transfer your PPF account in SBI. Approach your existing bank or post office where you hold PPF account. 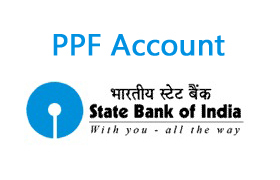 Make application for transfer of PPF account in SBI branch. Once your application is processed existing bank will send original documents such as account opening form, specimen signature and balance details to SBI branch address along with cheque or DD for outstanding balance in PPF account. SBI also offers online banking & transaction facility for PPF (Public Provident Fund) account. You can check your account balance, account statement or transfer funds from saving bank account. If you don’t want do any manual activity for depositing or transferring funds to your PPF account automatic option or provision is available with SBI for giving standing instruction for crediting PPF account from saving bank account at regular interval. You can also pass on this instruction online for crediting PPF account on periodical basis through Internet banking. If you have account in other bank you can use ECS mandate facility for subscription to PP account. So, if you want to enjoy PPF account with all this online facility open your PPF account with SBI now.